And what's with all the signs? 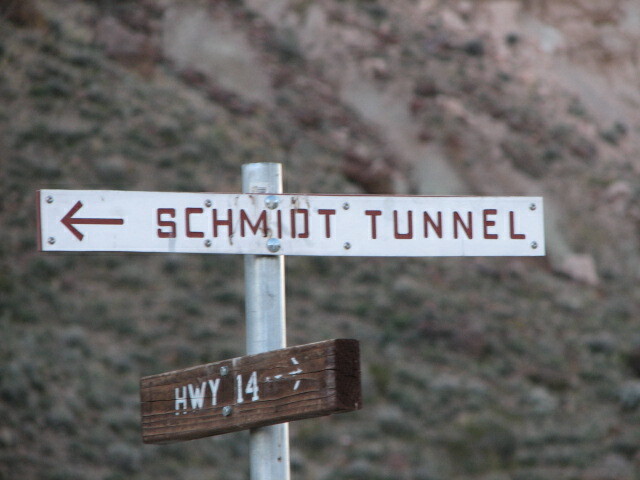 This is the first of many signs you'll find on your way to Burro Schmidt's tunnel. 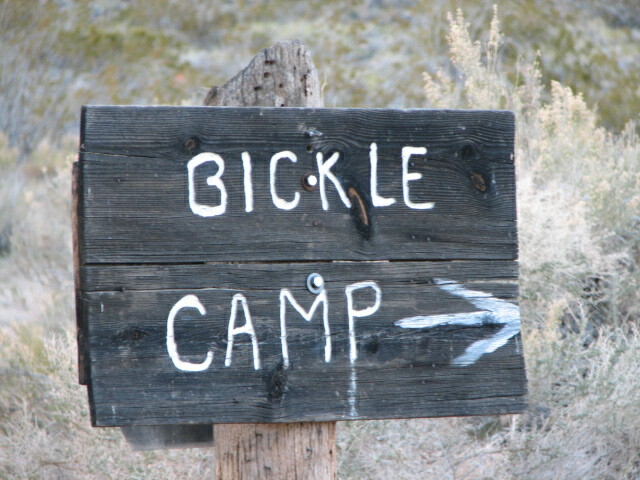 Bickel Camp (the sign is misspelled) is arguably more famous that Burro Schmidt. 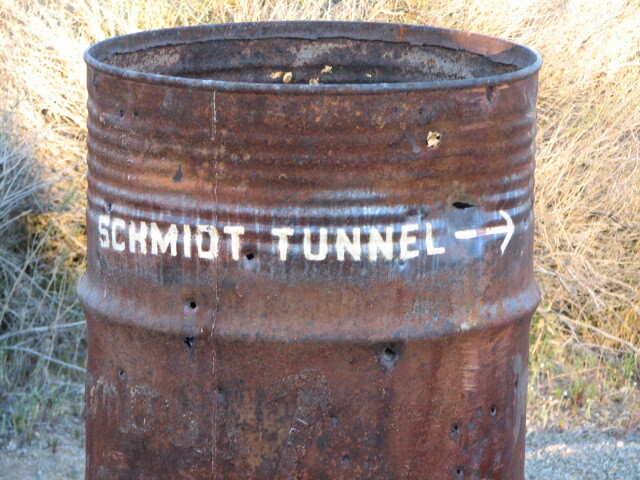 Bickel has a website (http://www.bickelcamp.org/), while Burro Schmidt only has a decent wikipedia page (http://en.wikipedia.org/wiki/Burro_Schmidt_Tunnel), a subpage on the Bickel camp page, and a nice piece on KCET.org (http://www.kcet.org/arts/artbound/counties/kern/william-burro-schmidt-his-tunnel-to-nowhere.html). But wait! 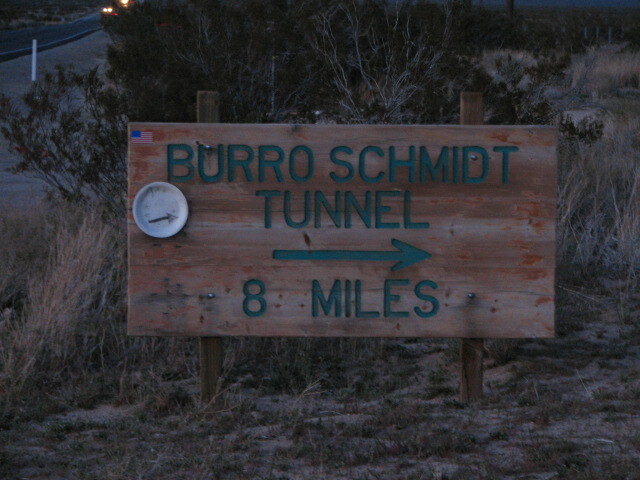 Burro Schmidt was once called "The Human Mole" on Ripley's Believe it or not. 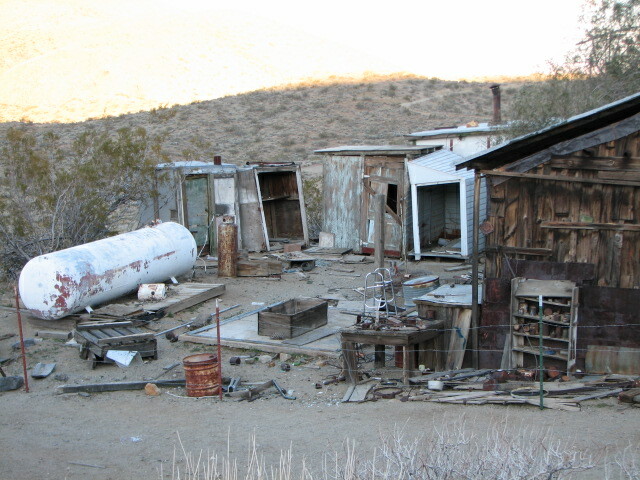 Sadly, the shack has not been vandalized and looted over and over again. 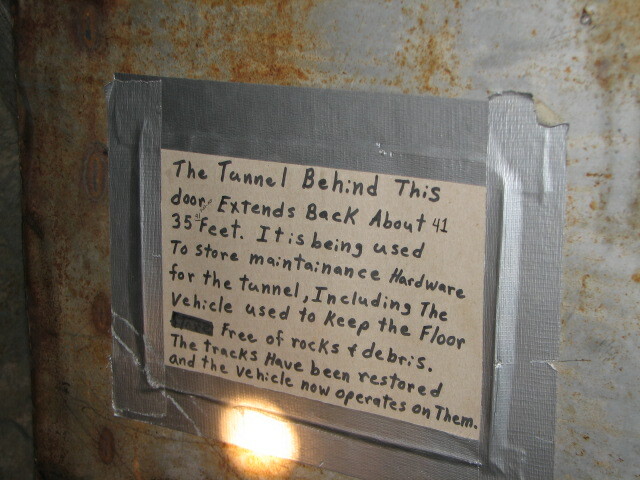 This is the view from the far side of the tunnel. 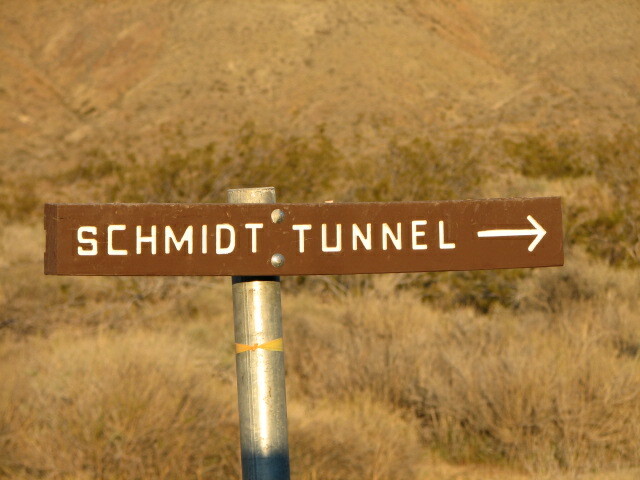 Today, Garlock road runs across and around the mountains that Burro Schmidt was cutting through. A different kind of sign. 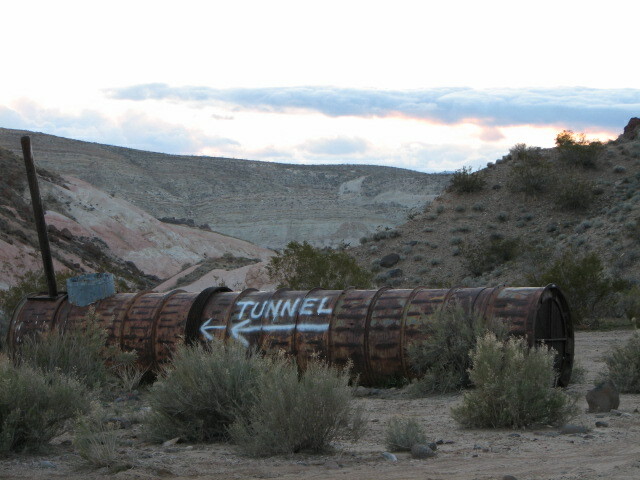 To the extent that the shack and the tunnel are maintained, it's done by a group of volunteers with only minimal signage from the Bureau of Land Management. Water, Flashlights, A hard hat if you're tall. It's only an 8 mile drive, but it took us nearly two hours to get there. The road isn't friendly to low vehicles and four wheel drive isn't a bad idea. 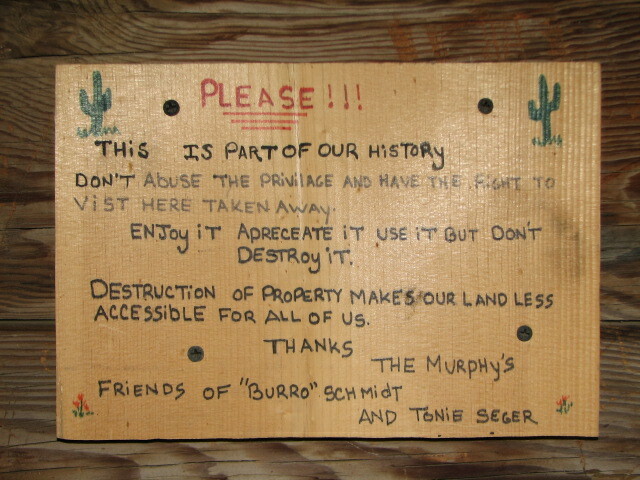 Thin and Gnarly, Burro Schmidt was not your everyday Joe. 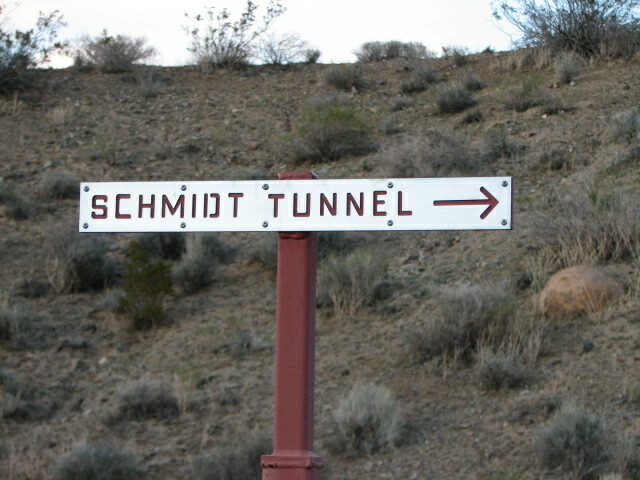 He could have been your everyday California miner, except for one thing: his tunnel. Over the course of thirty-two years this small man dug a 2000 ft. tunnel through a mountain. 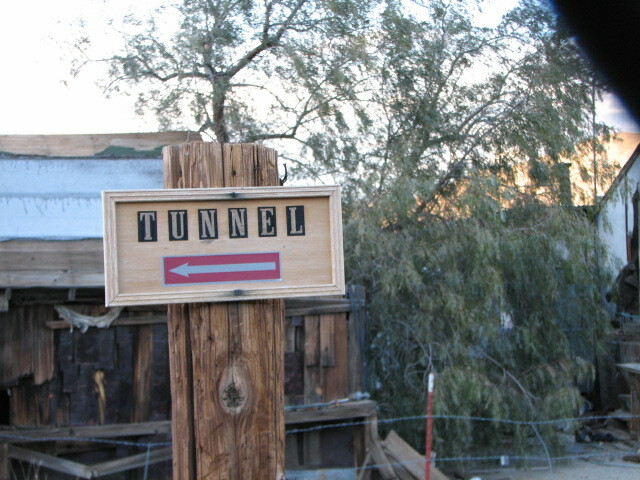 The tunnel is a testament to an obsession. 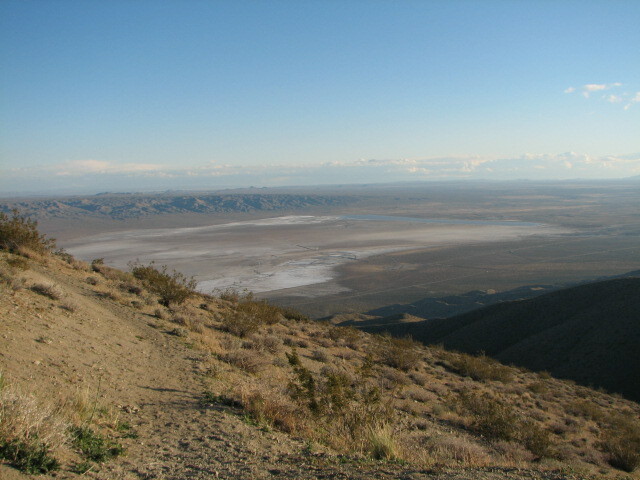 The trip starts just off of Highway 14 in the Indian Wells Valley. The turnoff is on the East side of the road and sits between the only two billboards for about 10 miles in either direction. 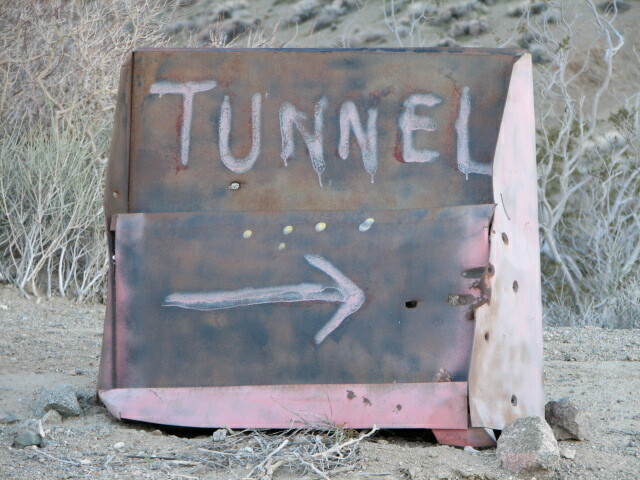 It is, apparently, very important to know where you're going on the way to the tunnel, because the whole trail is almost littered with signs. I'm an engineer with pretty mild adventures. My hobbies include cooking, reading, writing, and ballroom dance.